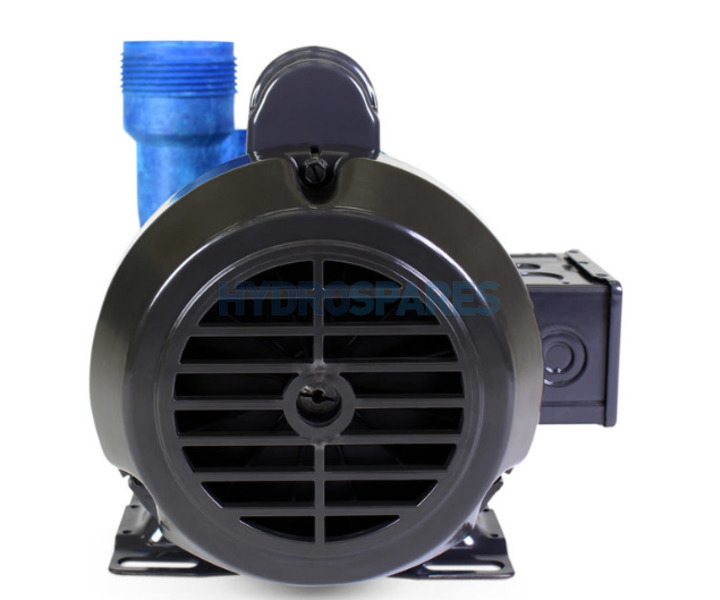 The Aqua-flo Circ Master HP hot tub circulation pump is a dedicated 24hr continuous duty pump. 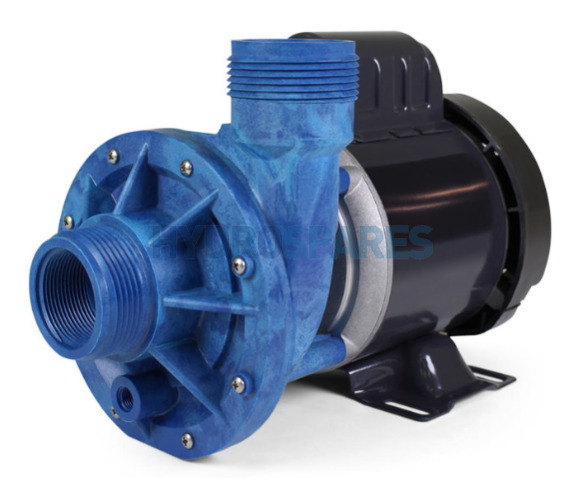 Taking 24Hr to a new level the Circ Master Hp delivers the highest GPM of any re-circulation pump on the market. A higher GPM allows the Circ Master to operate with increased heating efficiency and up to 4 times the filtration. 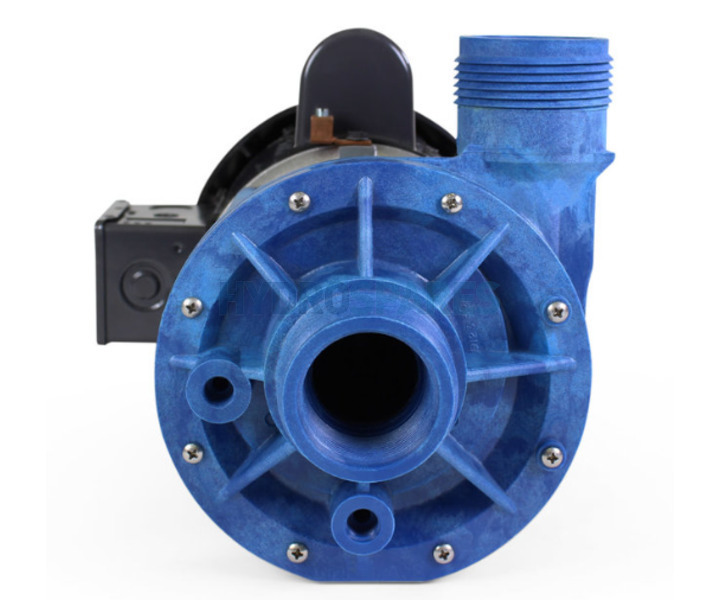 A whisper quiet side discharge volute design with 1.5" connections makes for easy installation and maintenance. The Circ Master HP side discharge wet end is very common in the UK, unlike the Circ Master CP centre discharge wet end (see other listing). 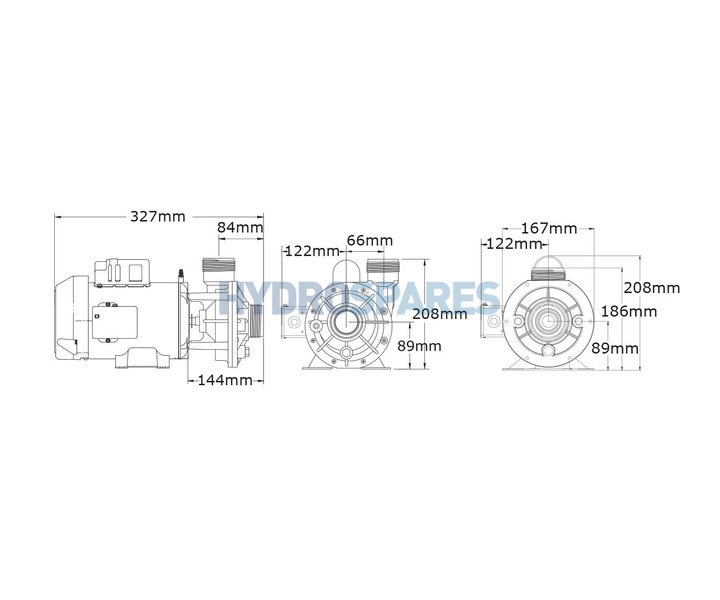 A centre discharge wet end can be identified by the ports as they will line up. A side discharge wet end has one port off to one side. 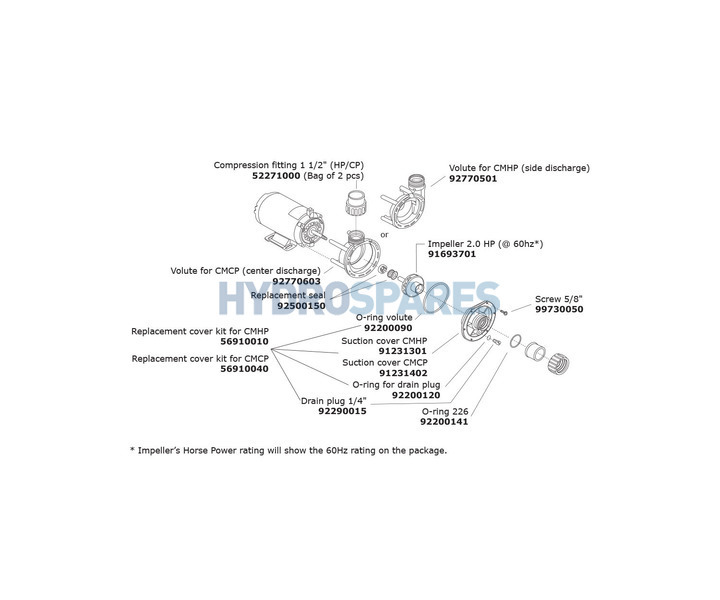 The Circ Master HP operates standard low flow heating systems with increased reliability. Continuous duty construction with carbon-graphite self lubricating mechanical seal and permentaly lubricated motor bearings extend motor life. 02415001-2010 - Wet End May Need to be Adjusted to Match Current Pump Configuration. 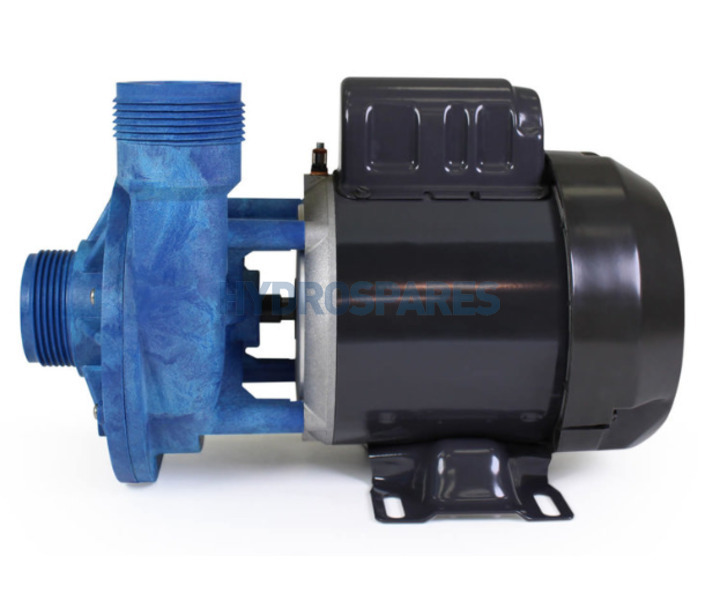 This is a good quality pump and was a straight swap for the failed one on our Aegian spa after simply turning the wet end around 1/4 turn to suit. These pumps are not the quietest considering they run24/7, but the last one lasted well over 10 years so I guess that's a small trade off. At the time or writing this review it is still being listed with a cable and mini JJ connector - it does not come with one so you will have to re-use your old, or order a new one seperately.